These days, when you download an app, it is fairly commonplace to be asked to enable location services on your cell phone. At times, you may have wondered why, say, an app for your grocery store really needs to know where you are located, but chances are you went ahead and allowed it. Location data permits marketers to take advantage of a tool known as geofencing. 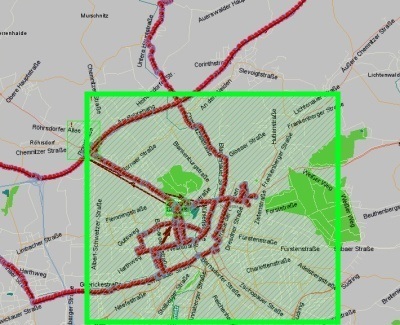 Geofencing is a service that enables a company to define a virtual perimeter—the “fence” in geofence—around a real location. The software then uses GPS data to send an alert to contacts that have entered (or exited) the fence. Since its inception, some great, albeit borderline creepy, uses for geofencing have been discovered, many of which are centered on marketing. For instance, large companies can target local shoppers, and along the same lines, deals can be specialized by location. Some companies, such as Retail Me Not, use the service to send coupons to users once they have entered the geofence perimeter. The overall idea has been that once companies know how individuals shop, they can offer a more tailored experience. In terms of the nonprofit world, several uses have been identified. Two options that are popular include instant check-in at fundraising events upon entry in the geofence and keeping track of a nonprofit’s most expensive assets (i.e., alerts that indicate when computers, cars, etc. have left the geofence). Unfortunately, an issue arises when organizations use location data in a method that invades the privacy of its consumers in more intimate ways. This is the case with Copley Advertising, whose CEO, John Flynn, has decided to use location-based ad services to reach women who are deemed “abortion-minded.” Flynn’s campaigns can send targeted propaganda to women while they are in the clinic waiting to have an abortion or seeking more information. Since advertising this package, Flynn has been getting much attention from the anti-abortion world; he was hired by RealOptions and Bethany Christian Services to run ad campaigns and was later invited to speak at the Family Research Council’s ProLifeCon Digital Action Summit. Therein lies the crux of the debate. Aside from the issue of reproductive rights, the question is how location data can be used ethically. How far is too far? Although the technology is receiving a lot of attention now, it has been around for decades. Unfortunately, even given this long history, there are only two laws that govern the use of location data—the Electronic Communications Privacy Act of 1986 and the Communications Act of 1934—but several consumer rights bills are being drafted. While the debate goes on, what can consumers do to protect themselves from unwanted and invasive advertisements? For starters, read privacy policies carefully. If there truly is no need for an app to know your location, do not enable location services. Or, enable location services only when you need them. Another option would be to simply leave your smartphone at home when going to places such as an abortion clinic, as long as it is practical to do so.